Heard of magnesium and its numerous benefits? 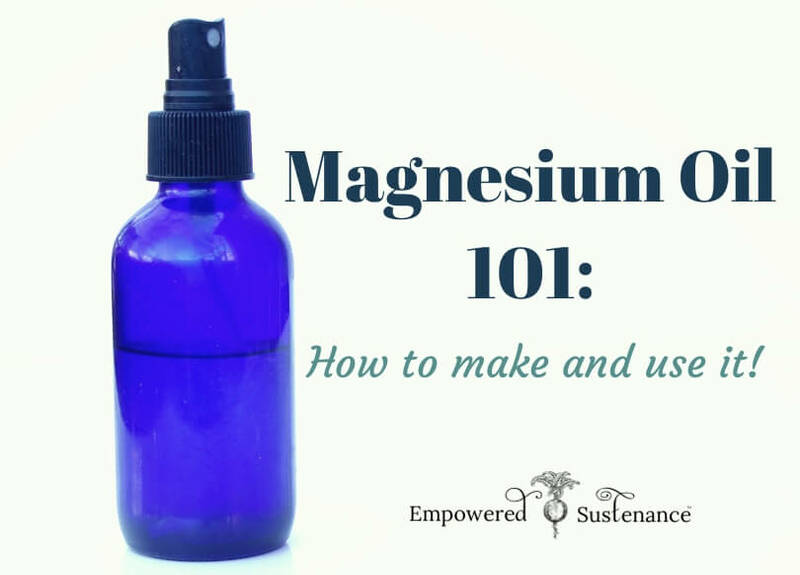 Wondering how to incorporate more magnesium into your body? This post from Lauren explains what magnesium is, why it is such a great form of magnesium, and includes a recipe for magnesium. “Nutrients applied to the skin are efficiently absorbed into the bloodstream. That is why we shouldn’t put anything on our skin that we don’t want coursing through our blood. And that is also why this homemade magnesium oil works so well: it’s a supplement we take through the skin.